you will learn what these are and how to apply these skills. However, there are some important differences when comparing a Finance degree with an accounting degree. If you are looking for a career in the finance or banking sector, an online finance degree will help you prepare you for a suitable profession. Finance degrees are one of the most sought after credentials in business education. From the basic principles of accounting to advanced budget analysis, you will learnabout the multiple aspects of this field. 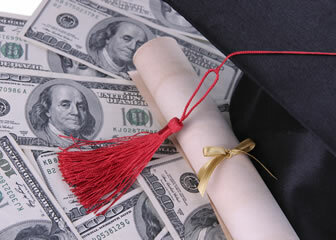 Pursuing an online finance degree can be quite manageable and convenient. With an online degree in finance, there are a number of jobs you can look forward to, such as financial analyst, accountant, and more. In 2012, data shows that the annual median salary for financial analysts was $76,950. For accountants, the median salary was $63,550. Both professionals are generally expected to work full time. Due to the similarities between the two subject areas, it is often common to find the same or similar job titles available for holders of either finance or accounting degree. Both finance and accounting degree holders are expected to exhibit a similar range of skills that would be an asset to them when seeking employment. Finance is generally concerned with the management of money, while accounting focuses more on collecting and organizing financial information. In other words, the study of finance may involve learning about how money is invested and managed, while accounting is more focused on budgeting, audits, taxes, and the tracking of business financial operations. A finance degree will help you manage your investments successfully. Because these degrees require a similar knowledge base, there are some basic skills and classes that may cross over in both accounting and finance degree programs. It is important in both of these fields to be proficient in computational math skills, and students may be required to take additional upper level math classes to help understand and correctly apply formulas and concepts used in finance and accounting. Students in both degree programs may take the same general business courses to gain a basic understanding of other areas in business;this may include courses such as finance, accounting, marketing, management, and ethics. When pursuing an accounting degree, you should expect to take classes in business law, statistics, accounting theory, economics, and ledger keeping. In a finance degree program, core classes might include risk management, corporate finance, portfolio management, business analysis, and underwriting. Both of these degrees could prepare you to work in similar jobs in many finance and accounting departments. However, an accounting degree is more specialized for someone trying to become an accountant or an auditor, while a finance degree is more tailored to prepare someone to be a financial analyst, loan officer, or portfolio manager. It is also important to note that earning an accounting degree may be more beneficial for someone who is interested in becoming a Certified Public Accountant because this degree is more likely to prepare them for the CPA exam. When trying to decide between a degree in finance or accounting, it is important to consider your career goals as well as your current area of interest. Once you narrow them down, you may be able to make a good determination of which degree will work best for you. Financial Examiner – Different from financial analysts, these professionals work for federal and state governments. The above mentioned professionals need to be licensed to work. Certifications in this field are also recommended. Q:What are the career sectors after completion of degrees in Finance? A:After the completion of degrees in Finance you may opt for a career in places such as Investment banks, Insurance companies, Brokerage firms and Commercial banks. Q:Are there any scholarships offered with the Finance degrees? A:There are numerous financial aid, including scholarships offered for the Finance degrees at renowned schools and universities. It is advised to apply well before the deadline, to increase your chances of approval. Q:How long is the Bachelor degree in Finance? A:The Bachelor degree in Finance is for 4 years. it has a total of 120 credits. However, if you have a similar qualification you can transfer the credits to shorten the duration of the program. Q:How long is the Bachelor's in Finance degree? A:Bachelor's in Finance degree is a 4 years program. Q:What type of different degrees in finance are available? A:Finance is a very vast field with various specialized degrees available in the subject. These degrees can be pursued on-campus and online as well. Popular finance degrees include Associates in finance, bachelors in finance, Masters in finance, Certificates in finance and Doctorate in Finance as well. Q:What are the PhD Finance degree Asset Management career options? A:Phd Finance Degree with specialization in Asset Management offers various lucrative career opportunities to the degree holders. PhD degree holders are highly paid professionals working towards betterment in terms of development via research in their area of concern. They can become research analysts, budget analysts, risk analysts, credit analysts, rating analysts, and many more in the private as well as the public sector. Q:Is there any difference in the Online Finance Courses to that offered in the campus-based institutes? A:No. There is no difference in the subject matter or the curriculum in the online finance courses and those offered on-campus. The difference is only in the time duration. Campus-based courses have a specified schedule and time duration for completion of the courses. However, the online courses have a flexible schedule and the degree completion time which is dependent upon the student's pace. Q:What courses are included in masters Online Finance Degrees? A:Masters degree in finance is a graduate degree in the field of finance; it offers students a strong hold on financial information and knowledge. The master’s degree in finance comprises of various courses such as: financial analysis, accounting, investments, financial reporting and analysis, financial management, corporate financial policy, econometrics, corporate governance, accounting, and managerial finance. Q:What are the different types of finance degree or courses? A:Finance is a highly sought after area of specialization. It can be opted in various certificate and degree programs. These include the associate, bachelor, master, and doctoral programs. Students seeking careers in finance can also look for further specializations within the diverse world of finance. They can specialize in areas like commercial finance, corporate finance, investment finance, and many others. Q:What are the areas of study of the International Management course of the International Finance degree programs? A:The International Finance degree programs in United States have a dedicated course on International Management. This 4 credits worth course highlights on the impacts that international business environment is having on the business of countries, individuals and of course, corporations. Students get an in depth knowledge of the roles of policies, politics and culture and how all these are inter related. Q:While looking for an online degrees in Finance, I came across Brand Management program. Can you tell me something about this course? A:You can find many online degrees in Finance if you search for them. Brand Management can be a part of any of the program in the field. In this course the students get to learn how to maintain, manage and develop skills for gaining competitive advantages. The students are taught how to maintain portfolios of the products by analyzing the behavior of the consumer. Q:Can you become Investment Analyst with an online International Finance degree? A:Yes, you can become a Financial or Investment Analyst in United States if you have an online International Finance degree from some accredited institute. You can become a Financial Analyst if you have studied courses in math, economics, business and accounting. Other courses which are relevant to the field include physics, computer science and engineering. Q:As I read on the types of Finance degrees, there was mention of the course on Principles of Finance. What is taught in this course? A:It is common to get to see the mention of course on Principles of Finance while reading on the types of Finance degrees. This course is roughly of 4 credits in total and is responsible for providing a much focused look at the capital management concepts of business firms. There is emphasis also placed on the actions and the policies of asset structuring and risk management. Q:Should I study online business finance? A:Finance degrees are an excellent choice in the ever evolving business world of today. They will equip you with the necessary skills to work your way up to lucrative and high paying jobs. In addition to this there are numerous benefits of online degrees as they will allow you to study from the convenience of your home and you can also save on traveling and boarding costs. Q:What are the admission requirements for master level business finance degrees? A:Business finance degree programs are available at master level, bachelor level, and doctorate level. If you are planning to enroll in a master's degree in finance, you must fulfill the following admission requirements: completion of a bachelor degree in finance or any similar field, minimum CGPA of 2.5, a letter of recommendation, high school certificate, and notification of any previous work experience. Q:What is the difference between studying for a business finance degree online and a general business degree online? A:The difference between the two is that a business finance in a specialized part of running a business, whereas most business degrees cover most aspects of running a business and finance plays a part in this. A business administration program will teach you about business law, management, human resource management, accounting/finance and marketing. A business finance program focuses on the finance aspect mainly and the course content reflects the same. Q:Are there many jobs with a business finance degree requirement available? A:There will always be jobs in this sector as, at some point, all businesses will be concerned with their finances- no matter how big or small. You can check to see if there are jobs available either by going through popular web-based job search engines or by considering national and local press for any advertisements. Q:What are some of the degrees I can pursue when it comes to finance programs online? A:The degree you choose will depend on your current level of education. If you are a high school graduate you can enroll in a bachelors or an associate degree which takes four and two years to complete respectively. Undergraduate students can go for advanced degrees like master's and doctoral degrees. Q:Can I pursue a degree in finance online as well? A:Online education is a growing trend these days and that is why almost every college offers courses and degree programs online as well as on-campus. So yes, it is possible to pursue a degree in finance online also. In fact doing so will help you earn a degree with very high returns professionally from the comfort of your home. But this is just the tip of the iceberg, since there are other benefits of studying online. The cost of online education is much lower than that of on-campus education. Q:How is an accelerated finance degree suitable for me if I want to join the professional field asap? A:Accelerated degree programs are basically designed for students who want to join the professional field without having to spend too much time in college. These programs can be completed in less than the regular time. For example, if you pursue an accelerated bachelor finance degree, instead of having to spend four years at college, you can complete the program in 2-3 years. Q:Is a bachelor business degree in finance online possible to complete in less than four years? A:Yes, it is possible to complete a bachelor degree in less than four years if you choose the accelerated option. Accelerated degree programs are designed for students who want to join the professional field with a head start. Accelerated bachelor degree programs can be completed in 2 to 3 years. Q:I am interested in an online business finance degree. What does the program usually cover? A:Various associates to doctorate level programs are offered in the field of business finance. Depending on the program, the courses taught include business law, financial statements, and principles of accounting, financial statement analysis, computer applications, payroll and tax. Various skills are taught including E-business, research methods, problem solving and critical thinking skills. Q:Do online finance degree programs follow the same curriculum as the traditional finance programs? A:There is usually little difference in the curriculum of online finance degree programs and the traditional ones. It is preferable that you choose an accredited online program as it follows an approved curriculum and meets the quality standards set by the relevant accreditation agencies. Online programs use different learning resources such as video lectures, discussion threads, online exams and practice tests but the curriculum is similar to traditional programs. Q:How do I find out if online degree finance is right for me? A:In order to find out if online degree finance is suitable for you, you will need to list down the factors that are important to you. If you are looking for convenience, flexibility, and cost efficiency; online degree finance is a lucrative opportunity. Since a degree is a long time commitment, you should also consider your interest and aptitude in finance. It is also preferable to look for accredited online schools, with good repute and qualified faculty. Q:Can I manage a finance online degree along with my job? Q:Why is it better to choose an accredited school for finance degrees online? Q:What are the different skills I can learn with online degree in finance? A:Online degree in finance will enable you to acquire a number of skills. It will help you learn quantitative, analytical, problem-solving, inter-personal, and communication skills. You will also learn to work on various softwares; which will help you in analysis, preparation of charts and graphs, and interpretation of data. Online degree in finance will also equip you with real world application of the subject with the help of case studies and many other learning resources. Q:Does a finance degree online carry the same value as a finance degree from a traditional school? A:There is no reason why a finance degree online will have a lesser value than a traditional finance degree. However, it is advisable that you choose an accredited online school and consider some other important factors such as the curriculum, specializations, general repute of the school, placement rate, tuition cost, scholarship options, in order to make the best possible choice. Many renowned universities are now offering their courses online, which indicates the credibility of online education. Q:Can you please tell me all available online finance degree and what are their durations? A:Online Finance degrees are offered by a number of accredited schools and colleges and are basically available at the associate's, bachelor's, master's as well as PhD level. The duration of the program is different for each program and depends upon the school's requirements, the curriculum well as the availability of the student (full time or part time). Q:What are the different types of online finance programs available? A:Online education is on the rise and offers programs in numerous designations including finance. Finance programs are easily available at different levels ranging from certificates to graduate degrees and undergraduate degrees. The undergraduate degrees include bachelor's degrees and associate degrees, while graduate programs include master's degrees and doctorate in finance. Certificates are available at the post graduate and pre undergrad levels. Q:What are the main themes of an Online Finance Course? A:An online finance course will revolve around the practical application of economics and accounting principles in a business environment to control and supervise financial operations in various organizations, including salaries, testing and development funds, marketing expenses, taxes and other financial aspects. You can choose to focus on one or more when doing pursing a finance course. Q:How are accredited Finance Courses Online covered? A:If you plan to enroll in an online finance course, all you need is a laptop and a reliable internet connection. The entire coursework is completed online with the help of videos, slideshows and presentations, classroom conferencing, audio lectures, online lectures, and more. However, some schools may ask you to take a few classes at the campus for hands on learning. Q:Can I be a financial analyst with a Business Finance Degree? What do they do? A:Along with a business finance degree, a job as a financial analyst will require both preparation and hard work. However, the results will help obtain chances of financial growth as well as inclusion into the business landscape. The BLS predicted a 16% increase in job growth for financial analysts between 2012 and 2022. In May 2012, the median annual wage for financial analysts was $76, 950. Q:How long does it take to get a finance degree? A:Finance degree programs are offered at all levels of post-secondary education. If you go for an associate degree with a focus on finance, you can complete the degree in 2 years or less. A bachelor's degree in the same field would take up to 4 years, whereas a master's degree can be earned in 1 or 2 years, after finishing your bachelors. If you wish to go for a doctoral level education with focus on finance, you will need around 4 to 8 years to complete the program. The duration may vary slightly from place to place. Accelerated finance degrees take less than the usual time to complete. Q:Can you explain Finance Degree Vs. Accounting Degree? A:Although the two degrees have many overlapping similarities, they are both fundamentally different and open different career opportunities. A finance is concerned with the management of money and may involve learning about how money is invested and managed in organizations. Accounting on the other hand focuses on collecting and organizing financial information and includes topics such as budgeting, audits, taxes, and the tracking of business financial operations. Q:What can you do with a finance degree?